Take charge with ease and confidence. DreamStation is responsive, informative, easy-to-use and connects remotely to your care team. In every way, it’s designed to make it comfortable to help you stay committed to treating your sleep apnoea. Performance Check— gives you peace of mind by simplifying in-home evaluation and troubleshooting, while confirming every morning that your device was working properly through the night. Provides maintenance alerts and reminders every 30 days. 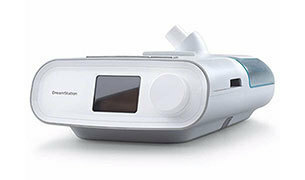 Available in CPAP Pro, CPAP Auto, BiPAP and Auto BiPAP versions to meet your therapy needs.